Our blogger community deserves to be rewarded, and for this reason we'd like to start a loyalty program. You are invited to suggest criteria to reward. The ideas should be related with posting on BlogUpp community page on Facebook, since Facebook likes will help determine the winners. Idea examples would be "best motto of the week" and "blogger contest of the month" - that are to get Facebook likes. 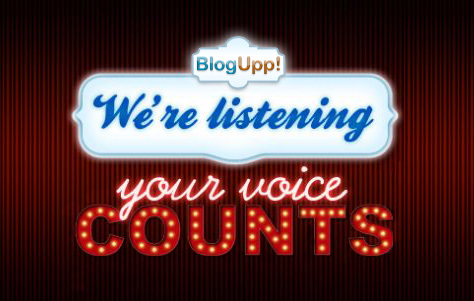 have an active blog within BlogUpp blog network. Please feel free to send your ideas via email to us, or write in the comments below, and we'll consider them carefully on an ongoing basis. Thank you in advance for participation. We look forward to hearing from you and starting together an exciting loyalty program. This is really a great idea. Thanks for sharing it.